The Smart Metro Revenue Enhancement Program can be separated into three distinct phases. The full three phases achieves optimal results, however each phase is able to be executed independently, in sequence. The first step is to perform a complete land audit on all properties that fall within the Municipality's jurisdiction. Every municipality has a finite number of land parcels that fall within their jurisdiction - a cadastre (detailed map/list) of these land parcels can be extracted from the SG. The purpose of Phase 2 is to ensure that every one of these land parcels is accounted for by the Municipality. All ownership information is updated using the Deeds data, and land parcels are categorised according to land use/ownership. Each category is assigned a different layer and colour which can be viewed via the SMART online portal. Approximately 70-80% of the Municipal Valuation Roll is verified as accurate and requires no further investigation. Identification of parcels missing from the Municipal Valuation Roll together with Deeds information giving registered owner plus address - to be inspected, valued, and added to Municipal Valuation Roll. Additional land parcels belonging to the Municipality will be identified. A list of land parcels with incorrect Valuation Roll detail and suggested corrections - i.e. update Valuation records. The opportunity to levy Assessment Rates and Utility fixed charges on land parcels that are currently missing from the Valuation Roll. Each and every land parcel within the Municipality's jurisdiction is accounted for by the Municipality. Recommendations - explanations on how to rectify the Deeds/GV/SG data mis-matches. 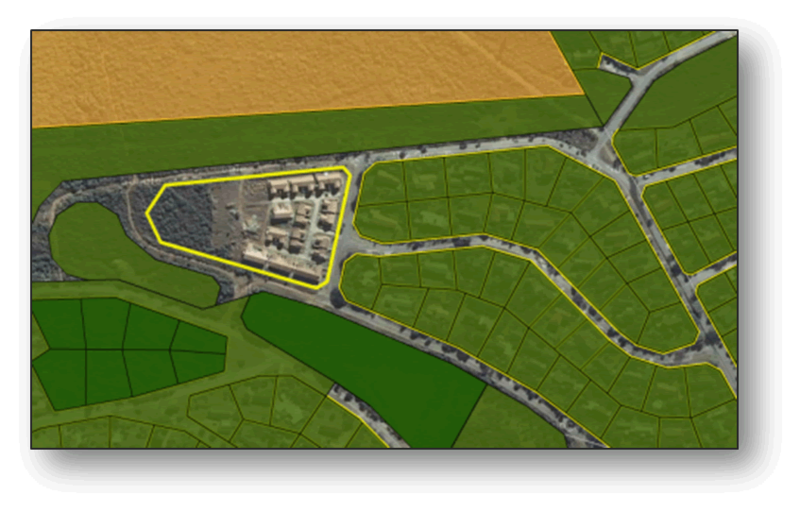 Access to the SMART Online Portal to be able to geographically identify and view the land parcels listed above. In Phase 2 Smart Metro project manages the implementation of revenue enhancement opportunities. In addition to the opportunities uncovered in phase 1, advanced data analytical techniques are used to uncover under-valuations, incorrect property classifications, vacant versus improved land and numerous other parameters that will enhance the Municipality's revenue. Phase 1 ensured that the Municipality has a record of every land parcel in their jurisdiction, including ownership information. The analysis in Phase 2 requires matching the data already in the SMART database with the Municipal billing data, Indigent register, building/improvement values, market values from recent property sales, and various other indicators. Smart Metro works together with the Municipality to ensure that any anomalies found are investigated, verified, brought to the attention of the relevant departments, and are corrected on the Municipality's billing system. Visually the SMART system can be thought of as a puzzle with missing pieces. Parcels not linked to Rates or Basic Charges (missing puzzle pieces) are easily identified. Increased revenue as a result of accurate and verified billing data in respect of Rates and Basic Utility charges for all land parcels within the Municipal boundary. The opportunity to increase revenue from consumptive charges. The complete Revenue Enhancement Program concludes with Phase 3. Phase 3 builds on Phase 2 to include the analysis of all consumptive utility charges being water, electricity, sewer and refuse. The first goal is to establish if there is a consumption charge linked to every land parcel with an improvement on it (non-vacant, as categorised in Phase 2). If there is no consumption charge component on the account we check whether there is a valid reason for this or if it is an error on the billing system. A number of parameters are built into the SMART system so that possible consumption anomalies are identified automatically and flagged for investigation. Recorded consumption volumes for every land parcel are checked against various criteria stored in the SMART database, such as the category the land parcel falls into and the size of the improvements on the land parcel. Analysing the Municipality's current revenue streams. Isolating un-billed and under-billed revenues. Implementing corrections to ensure accurate and increased billing. Assisting the Municipality to collect these additional amounts billed. Reviewing the relevant SOP's and recommending improvements. Undertaking a process of skills transfer to identified Municipal employees. Complete, accurate and verified billing data in all respects i.e. Revenue from Rates and Utilities is maximised sustainably. Aim to transfer skills for the unemployed graduates and under graduates within the Municipal area. Identify and report on process weaknesses. Recommend improvements to be implemented to address the above-mentioned process weaknesses. A complete analysis your current revenue streams. You will receive assurance that you have a complete and accurate set of consumer (customer) data that can be used for complete and accurate billing. We will isolate past un-billed and under-billed revenues. We will implement corrections to ensure accurate and increased billing. We will assist the municipality to collect these additional amounts billed. The municipality will have a complete and accurate set of data about all properties under the control of the municipality which can act as a control mechanism against which relevant data in the GRAP Asset Register can be compared and any errors found can be corrected. We will capacitate relevant municipal staff in procedures that need to be followed going forward to ensure completeness and accuracy of consumer data. We will provide the municipality with a close out report detailing process weaknesses that have led to un-billed and under-billed revenues and also propose procedures to address these weaknesses in the future.